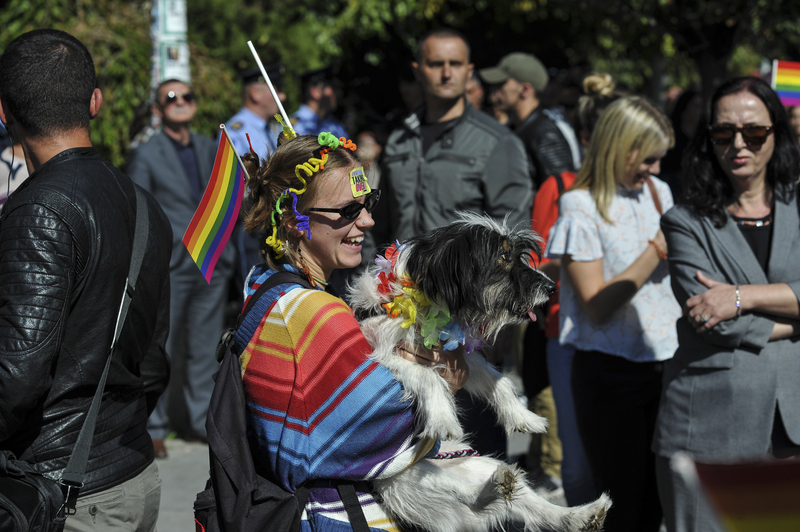 In photos: Music, dance and rainbow flags accompany citizens in Prishtina’s center as they march for the country’s second ever pride parade on Wednesday. 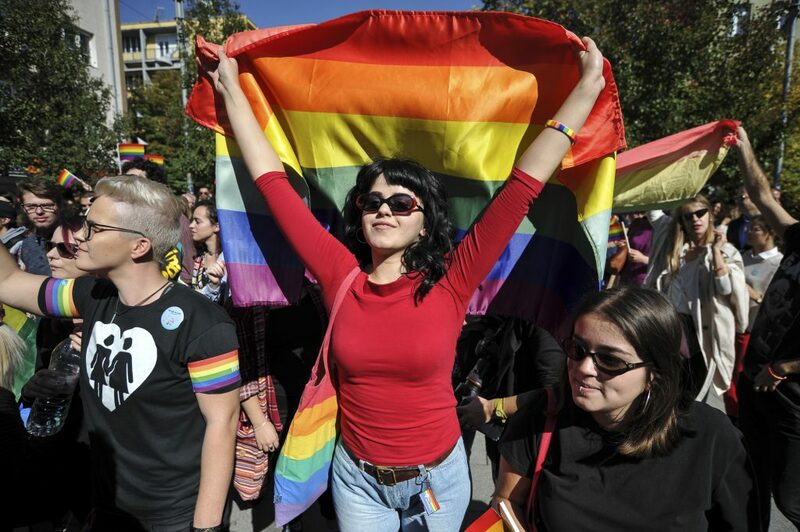 Hundreds of citizens from Kosovo and the region gathered in the center of Prishtina for the country’s second pride parade on Wednesday, marking the end of Pride week’s events organized by the Center of Equality and Liberty for LGBT in Kosovo, CEL. 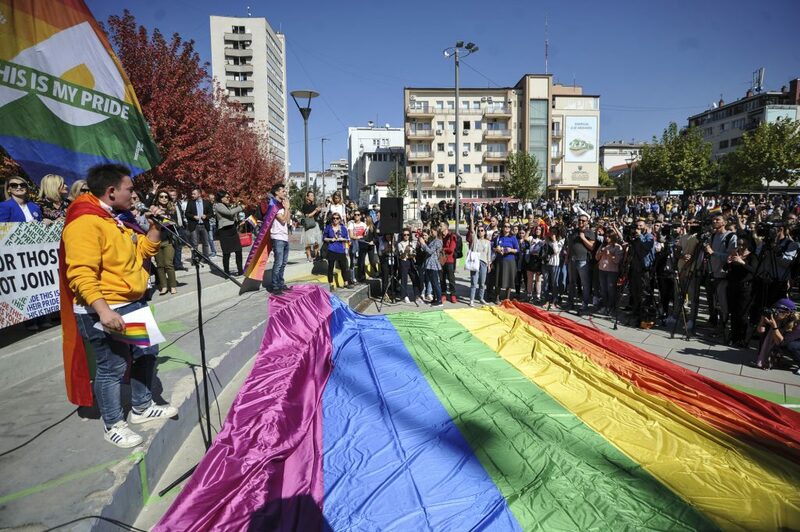 Waving scores of rainbow flags, activists and allies of the LGBTQ+ community convened at Skenderbeu Square, making their way down Nene Tereza Boulevard, chanting the slogan of this year’s parade, “in the name of freedom,” as they reached Zahir Pajaziti Square. 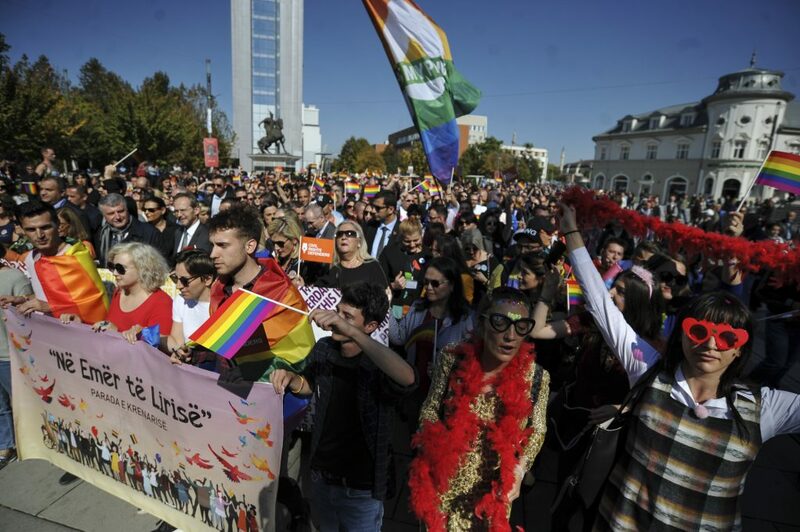 Lendi Mustafa, activist from the LGBTQ+ community in Kosovo, said that the aim of the parade is to increase the visibility of this community’s members, and appealed for institutions to recognize the issues that this community deals with. “Today, in the name of freedom, we invite all state institutions to not deny our identity, to offer equal opportunities and fulfill their responsibilities regarding human rights in order to work towards a diverse society,” he said. He said that another goal of the parade is to represent individuals who cannot enjoy a decent life because of the pressure they face in relation with their sexual identity. “We came together to show that we are becoming empowered, and we have hope that we will enjoy demands, we will remain united until the end. We will be your voice,” Mustafa said. 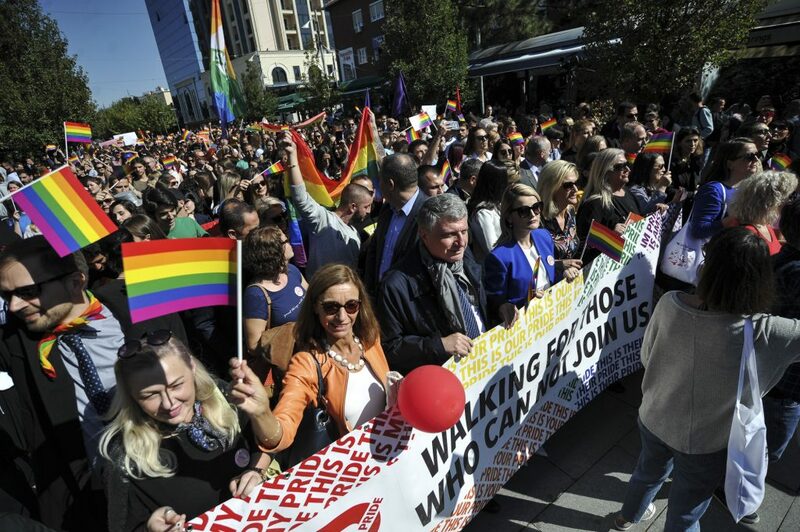 This is the second parade that has been held in the capital for LGBTQ+ pride, but it is not the second time that LGBTQ+ activists have marched in Kosovo. Before 2017, activists organized a number of marches marking the International Day Against Homophobia, Transphobia and Biphobia, IDAHOT. Among the participants this year were Mayor of Prishtina Shpend Ahmeti, Minister of European Integration Dhurata Hoxha, several members of the Kosovo assembly and representatives from foreign embassies. 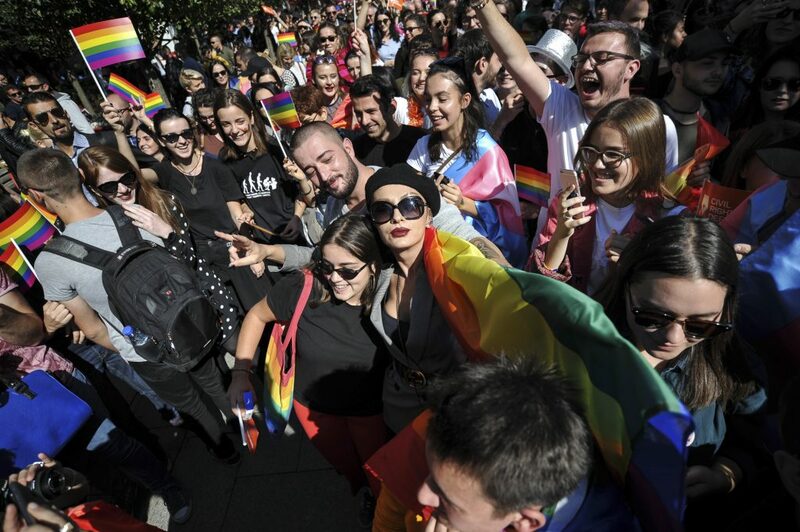 After a public invitation, Adelina Ismajli, a famous pop star who has been prominent in Kosovo’s mainstream music scene since the 1990s, joined the parade just minutes after one of her songs was played through the speakers, wearing the rainbow flag and greeting enthusiastic fans.